Whether you’ve always been a camper or you are new to camping holidays, going on a trip with a toddler can be one of the most exhausting things you’ll do as a parent, but it can also be one of the most rewarding. Your child could see wildlife, play on the beach and maybe even see a waterfall. So many memorable and exciting experiences can be part of a camping holiday, so if you just take your time and make a checklist, we’re certain you, too, can go camping with your toddler. We’ve put together a top 10 list of tips to help you navigate a camping holiday with a toddler. The good news is that Byron Bay has lots of family-friendly activities available. 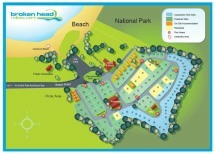 So check out our advice and modify it for your needs and then come on out to Bryon Bay for an awesome family holiday. An umbrella while at the beach is a good idea with littles. If this is your first time camping with toddlers, you’ll want to really research where you’ll stay and how that will work with the stage your toddler is at — tent sleeping? Powered campsite? Bathroom situation? What is nearby the site? Think about activities and how you’ll navigate those — do you need certain safety gear, shoes, etc.? Are your kids afraid of bugs and unfamiliar animals? Make sure to discuss what they can and can’t do in nature. And just know that while it’ll be amazing to watch their little faces as they see new things, you’ll need to be on alert in case they touch something they shouldn’t or spend too much time in the sun. Just like at home, little Mary or Johnny will handle the trip much better if you bring along the favourite lovie and/or stuffed animals — whatever it is they like to use to comfort themselves when things get overwhelming or helps them relax to fall asleep. Obviously you’ll need to be careful that you don’t lose them somewhere along the way, but it’s better to have them along to make the trip easier for a toddler to handle. One pro parent tip: Consider purchasing the exact same lovie and/or stuffed animals as a back up so in case you ever lose them, then there’s a new one to take its place. It might not have the same matted fur yet, but it’ll get there and usually eases the pain if there’s a lost lovie. Before you even leave for your trip, it’s important to introduce sleeping in a tent or campervan if you’re going to do that while on your camping holiday. It will make the trip go much smoother if your little one is already familiar with the tent or campervan and have experienced what it is like to sleep there. 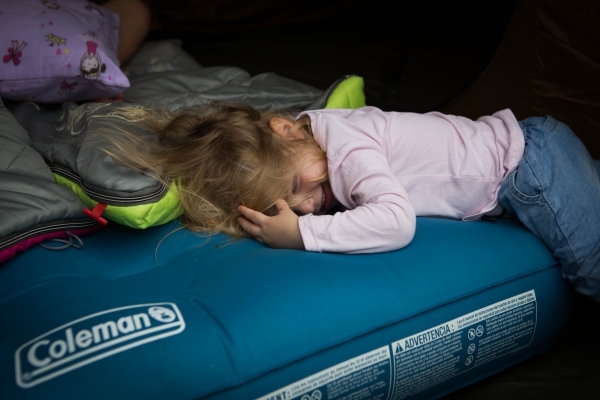 You’ll want to think through how you’re going to calm them down for the night in the tent, how much they can tolerate noise-wise for sleeping (you getting in and out of the tent, how much they can hear outside the tent, etc.) and what to do if they wake up in the middle of the night. Be prepared with lots of snacks. As you pack for your holiday, think about what your toddler’s favourite snacks are and what keeps him/her from becoming cranky or sluggish while you’re out and about. Then bring along a bunch of those snacks along with other toddler-simple foods like peanut butter and jam, dried fruits, muesli bars; basically whatever is easy to pack up and bring along, both on the holiday and as you head out on various activities once you get to Bryon Bay. Plus, with toddlers, it’s a great idea to have an on-hand breakfast since they aren’t known for their patience when it comes to eating first thing in the morning. They are going to be starving the whole holiday since they will be running around so much! 5. Pack all the sunscreen, etc. Playing at the beach means lots of sunscreen. Bring the sunscreen, the bug repellant, the hand sanitiser and any other preventative measure you feel will help make the holiday go smoothly. It’s important, especially under Australian sun, to make sure you reapply and follow the rules for sunscreen as well as use hats, coverups and more for your little ones. Sunburns are not a fun way to spend a holiday, especially if it’s a toddler who doesn’t really understand what happened. Be ready for naps. Most toddlers still take a regular afternoon nap, and especially on a holiday where they are experiencing so many new things, they will be worn out. So if that means your toddler naps on the way back to the campsite from a hike or activity, or you plan a time when you can be back at the campsite and they can rest, it’s up to you and what you feel will work for your toddler. But your kids and you will be happier if they get the rest they need rather than pushing them to keep up with older kids and adults. Pack up your devices just in case you need them. Your toddler will want to be able to play with toys and games (depending on the stage of toddlerhood) that are not only fun and keep them occupied, but are age appropriate and familiar. If you’re making dinner at the campsite, or one of you is off using the facilities at the holiday park, then having toys available for kids to keep them entertained while you do the prep work and what not is always a good idea. Even if you’re not a huge fan of allowing your toddler to watch TV, you might think about bringing along your iPad so they can sit back and watch part of a movie or show that would keep them occupied while you did things around camp, such as, preparing food, to getting gear ready for an activity. Pick a good tent for your family. Dependent on where your child is in the potty training stage, you’ll need to consider if you need to pack a toilet seat, a travel toilet or if you want to stick with overnight nappies until after the holiday. Just do plenty of planning and thinking ahead of what makes sense for your family and your situation. As much you might want to tackle all the things to see and do in Byron Bay, you’ll need to temper your expectations if you’re g0ing camping with a toddler. Already as a parent, you know that things don’t always go as planned, everything takes longer than it should and sometimes meltdowns happen. So with that in mind, you can draw up a reasonable itinerary, but know you’ll need to be flexible each day. So, for example, you might want to do the walk surrounding the Cape Bryon Lighthouse, but know that your toddler might walk part of it, looking at the ocean, seeing the sights, but then he or she will most likely tire out so you might need to stop for a snack or move the child into a carrying device. It might take longer than you’d expect — you come for the sunrise and end up spending several hours walking the trail and the next thing you know it’s lunchtime and then nap. You just need to try to go with the flow! Rather than planning a family holiday that includes a week-long stay somewhere with a long car trip there and back, it makes more sense to start with a shorter holiday, like a weekend, so you can try out a camping holiday with your little one before you make a big commitment. Plan a weekend away to Bryon Bay with your family and experience a couple of nights sleeping in the tent, eating at the campsite, taking naps and all the other parts of a camping holiday that will be new and different with a toddler along for the holiday. If things run amuck that first night, you won’t feel bad ditching the holiday when you’re only there for two nights; whereas if you had planned a much longer holiday, you’d be upset if you have to leave after only one night. The whole family is welcome at Broken Head Holiday Park where you’ll find budget-friendly campsites ready for any age you might have travelling with you. We have updated facilities with a Camp Kitchen and BBQs, and different types of accommodation options including campsites and beach shacks. You should have everything you need to accommodate your situation from babies, to big kids. 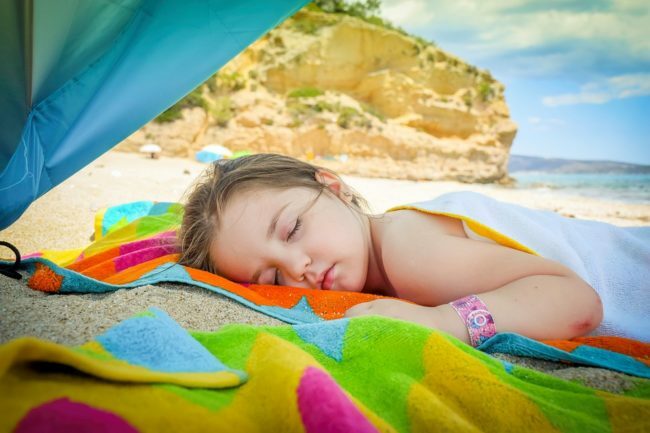 We are near the beach so you can take your kids down to the ocean easily, and we’re also far enough away from the main centre of Bryon Bay that you can find peace and quiet for your kids to nap during the day. So start the planing process and find a time you can take a fun camping holiday with your family, even if you do have a toddler in the mix!